Robert Cascio is a College of Business faculty member for the University of Central Florida, on both the main UCF campus in East Orlando as well as the UCF Executive Development Center in Downtown Orlando. His university-related endeavors include academic research, graduate MBA course instruction, and marketing consulting. Dr. Cascio received his Ph.D. in Business Administration, concentrating in Marketing Strategy, in 2011. Interested in furthering the fields of study in strategy, innovation and sales force technology, Dr. Cascio has been published in several leading academic journals and other international publications, including Industrial Marketing Management, International Journal of Physical Distribution and Logistics Management, International Journal of Retail and Distribution Management, Marketing Education Review and Psychology & Marketing. He was also the recipient of the distinguished American Marketing Association’s Sheth Doctoral Consortium Fellow Award. His research on consumer satisfaction, internet marketing, marketing innovation and sales force technology has been commended on multiple occasions at the UCF Graduate Research Forum. Dr. Cascio has instructed multiple undergraduate, graduate, professional and executive-level courses with consistently outstanding teaching evaluations. He has been officially recognized and awarded by the UCF College of Graduate Studies for excellence in graduate student teaching. Before returning to work on his doctorate degree, he enjoyed a successful 12-year career with AT&T, working domestically and internationally, directing business development, corporate advertising, consumer awareness and usage campaigns, and branch office leadership and operations. In addition, he is the managing partner of a lucrative real estate investment and holding company that includes several prominent commercial properties. 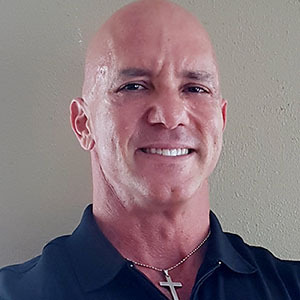 Striving for balance in life, Dr. Cascio enjoys Christian mission work, weight training, NPC physique competition, international travel, cycling, mountain biking, racquetball, ocean kayaking and paddle boarding. Learn more at robertcascio.com.